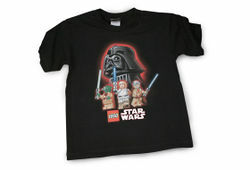 TS62 LEGO Star Wars Classic Characters T-shirt is a Star Wars T-Shirt released in 2007. It has Luke Skywalker, Ben Kenobi, Yoda, Darth Vader, and LEGO Star Wars on it. It comes in YS, YM, YL, AS, AM, AL, and AXL sizes. Facts about "TS62 LEGO Star Wars Classic Characters T-shirt"